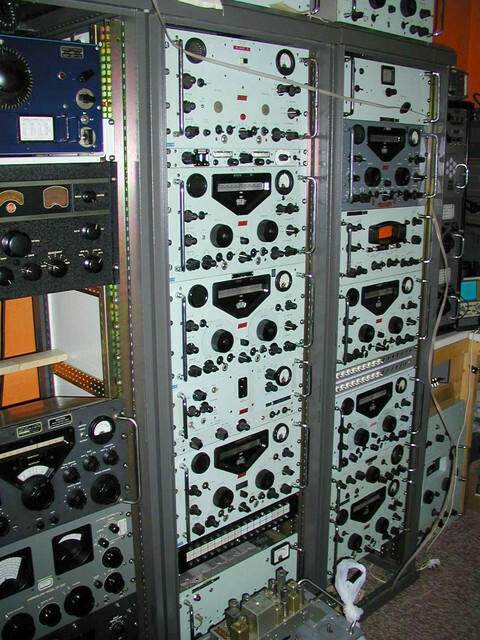 These images show about half of my 2009 radio room. I'll post my latest radio setup soon. Me neither ! !, does it make tea ?? Several of them are radios that would have been in the average SWL's shack when I started. Many of the pale blue RX's are Racal RA17's. A great RX from the 50's, I believe. One of the large black boxes is an RCA AR88. Which is a truly great receiver & I wish I still had mine. If anyone spots one of the Russian AR88's they are worth having, some even I believe ended up in China as part of the allies supply chain. There were different models of the AR88 & some covered LF, which when I started listening was the one to get. 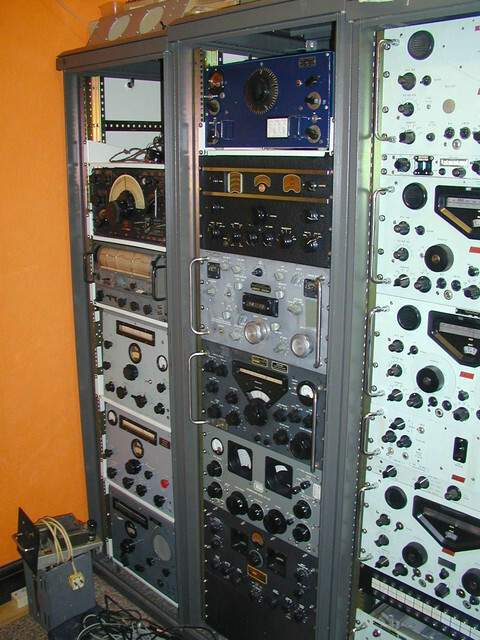 There is a Marconi R1475 among the radios. And one of the boxes looks to be an old Lancaster RX, an R 1155. This was originally part of a pair. One RX, one TX, the TX being a T 1154. I had both at one time. All serious radios in their day. The R1155 use to come with a small loop frame antenna & was a brilliant RX. But the TX was a little messy. As a friend who lived over 5 miles away said when I got mine. "Oh crap, you are not going to turn that on during Coronation Street are you?" Ha ha I think so and possibly with a Kit Kat. Still, Impressive Pics listening_steve, could you elaborate a little more on what you've got there?